In order to graduate from the small ultra-conservative liberal arts college I attended after highschool, the eccentric little college required a potential graduate demonstrate two proficiencies above and beyond typical academic competency. (2) pass a written test demonstrating skills and knowledge the school deemed essential for good citizenship. Among the latter was demonstrating the knowledge of how to fold and display a flag properly according to the US Flag Code. Flag care instructions from the packaging of a vintage US flag. 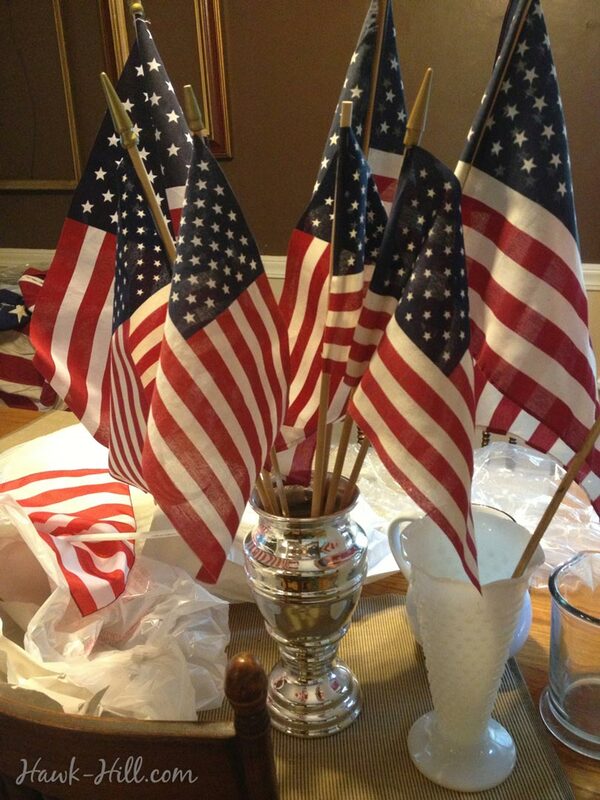 While I will never forget the correct way to display a flag, the truth is I have little more chance of correctly folding a full-size American Flag than I have of neatly folding a fitted bed sheet- and we ALL know the latter is impossible. Navigating between respect for the American flag and despair at my inability to fold the dang thing properly, I gave up and developed the super easy flag storage method described below. 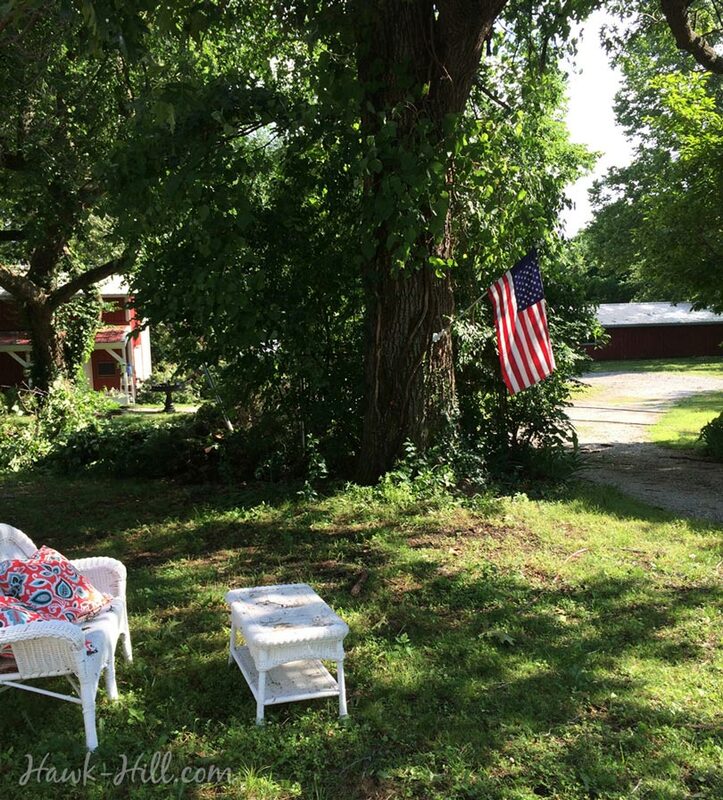 I love displaying a flag on my property in the summer. 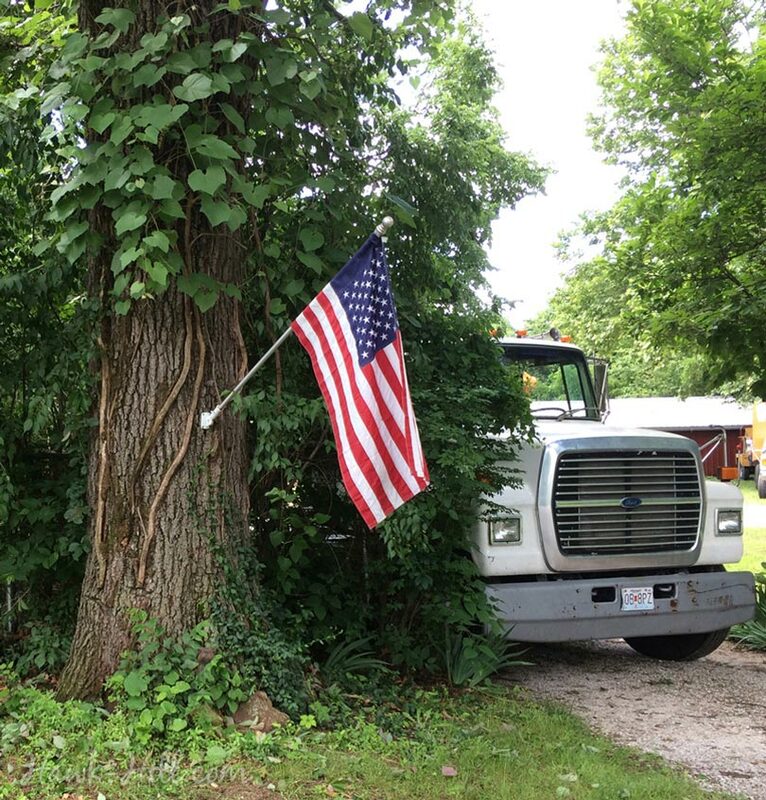 Typically I display an all-weather flag on the flag bracket on the 100 year old oak tree halfway down my driveway from Memorial day to Labor Day each summer. When days get shorter, it’s time to store my flag for the winter. 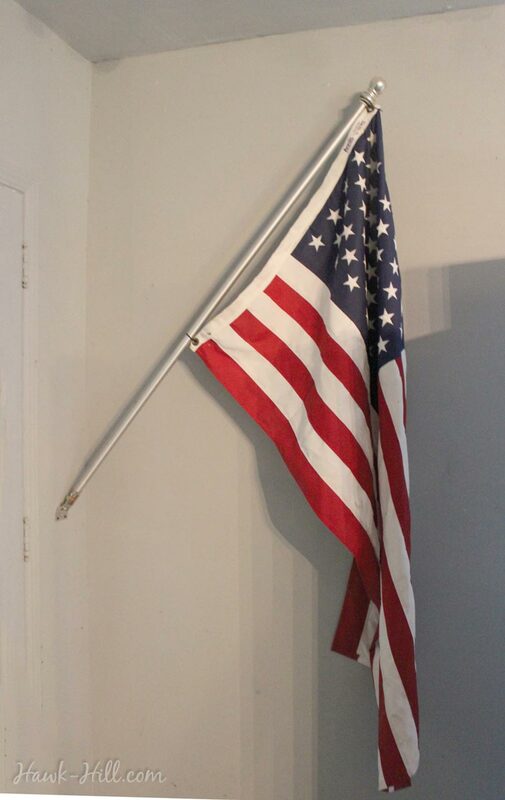 I discovered that the easiest way to store a flag in a way that is respectful and prevents wrinkling is to mount the flag and flagpole in a storage area, on a basic flagpole bracket. Mounted securely to a wall stud, the bracket makes it a quick and easy process to take down my displayed flag and store it safely. 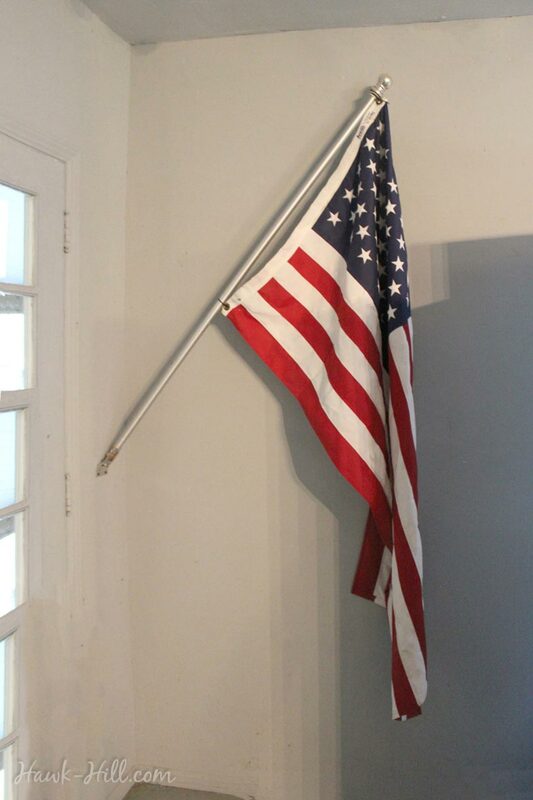 Add a flagpole bracket to an interior wall of your garage to make it easy to store your US flag when not in use. Putting a second flag holder bracket in a convenient spot makes it an easy job to stow your flag safely out of the elements when inclement weather is approaching. 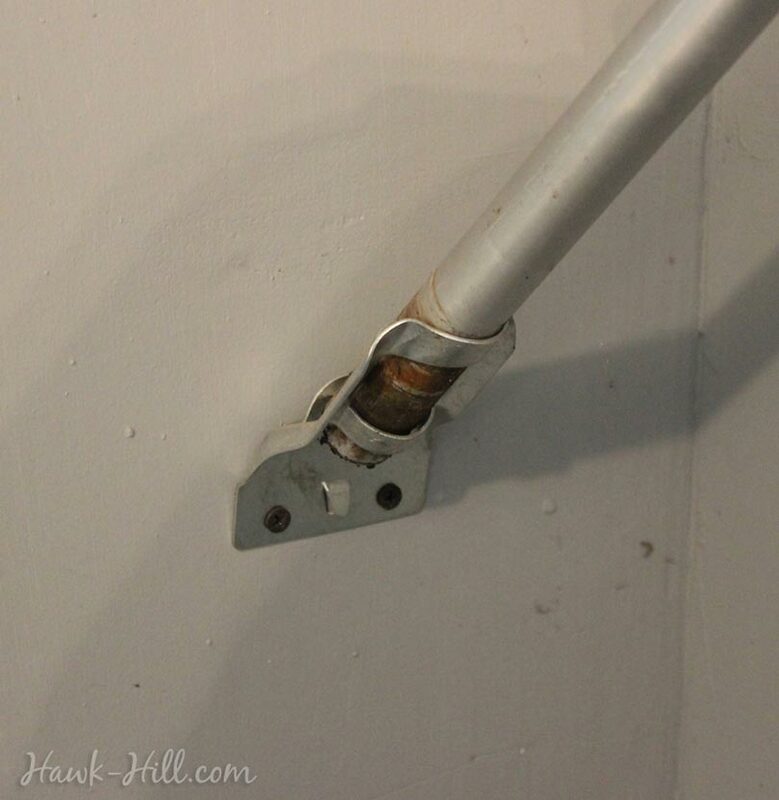 be sure to attach your flag bracket to a wall stud, flags themselves are lightweight, but with the hardware and leveraged position, it puts significant strain on the bracket and screws. My alternate flag storage spot was in the back of my garage, in a corner so very little space was taken up.